Today I want to write about a very unique little insect, the Scottish wood ant. These little red and black ants have queens that grow up to 12 mm long and workers that grow up to 10 mm long. Scottish wood ants build large nests well over 1 metre high that are covered in pine needles with one side that faces the sun to get lots of warmth. A few queens live in these nests with over 100,000 worker ants looking after them. Lots of earthworms live in these nests. The worms like the warm environment and they keep the nests clean for the ants. Scottish wood ants play an important role in the environment as they mainly eat insects, so they help to keep the numbers of insects under control. In late summer, some baby males and females grow wings and fly from the nest. After they mate with each other, the male dies and the female loses her wings, burrowing onto the ground to start a new nest and begin laying eggs. Scottish wood ants live in pine forests in the highlands of Scotland and Northern Ireland and are scattered throughout Europe and Asia. 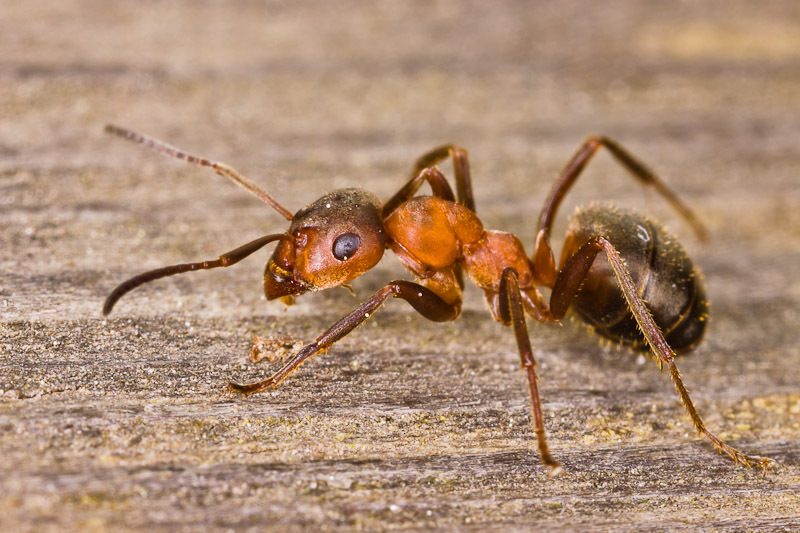 Are there any other interesting facts that you would like to share about Scottish wood ants?